2) The centerpiece of a traditional Polish polka band is the accordion. The accordion is a substantial instrument. Have you ever tried to play it? 3) The plump lady of this song cannot fit into the singer's car. How many passengers does your car comfortably seat? 4) Would you like to lose a few pounds? 5) In the long ago 1940s, this song was considered amusing. Do you think it's still funny today? 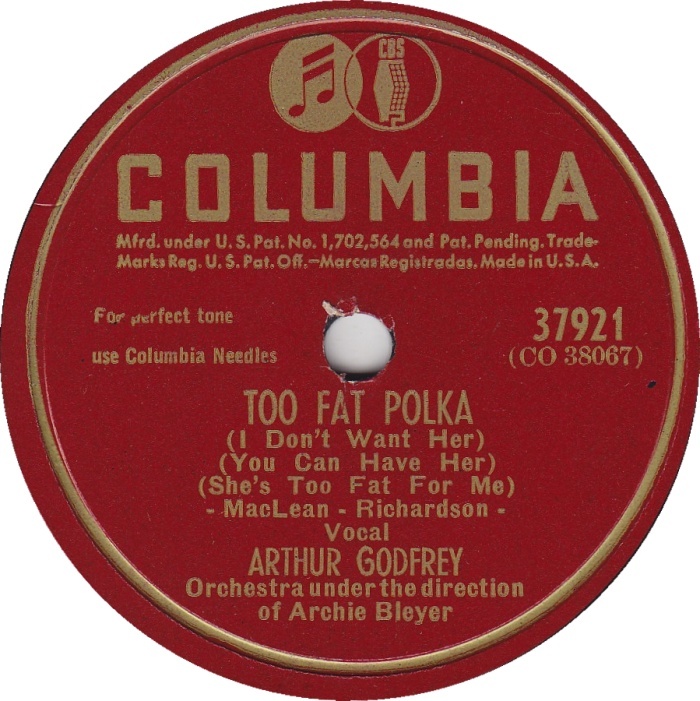 6) Arthur Godfrey, who recorded this song, was a popular radio and TV host from the 1930s to the 1970s. Before this week's Saturday 9, had you ever heard of him? 7) One of his more popular radio shows was Talent Scouts. A 1940s-50s version of American Idol, this show gave previously unknown singers their first national exposure. Godfrey could point with pride to having helped discover Tony Bennett and Patsy Cline, but he made a mistake by rejecting Elvis Presley. Tell us about something you'd do differently if you could get a "do over." 8) In 1953, Godfrey made news by having one of the nation's very first hip replacements. Have you ever been/would you be part of a clinical trial, either for a new drug or a new medical procedure? 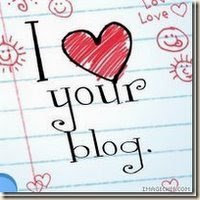 9) RANDOM QUESTION: You and a friend are shopping. She tries on an expensive sweater and enthusiastically asks what you think. You think it looks awful. Do you tell her the truth? 1) What's something you did or said "in the heat of the moment?" 2) Asia's founder and bass player, John Wetton, passed away in January. One of his bandmates remembered him as a reliable performer who made everyone around him look better. Do you enjoy being the center of attention? Or would you, like Mr. Wetton, prefer to play a supporting role? 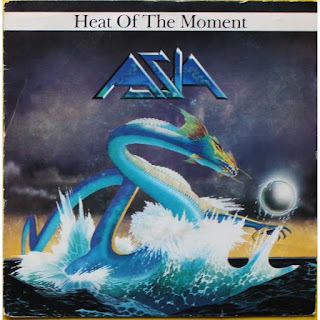 3) Asia is a British band who played their first US concert at Clarkson University in Potsdam, New York. The nearest major city -- Ottawa, Canada -- is a 90-minute drive from Pottsdam. When you were last in the car for an hour or more? Where were you going? 4) The song refers to disco hot spots, which apparently, by 1982, no one wanted to go to anymore. Let's make that negative into a positive. Describe your perfect night out with friends. Where would you go? 5) In 1982, the year this song was popular, someone laced bottles of Tylenol with cyanide. That's why we now have tamper-proof caps on many products. Have you used anything in a tamper-proof bottle yet today? 6) In 1982, Time Magazine's Person of the Year wasn't a person at all, it was "the computer." What do you use your computer for most often? 9) Random question: What is something you try to avoid? Not familiar with this week's song? Hear it here. 1. 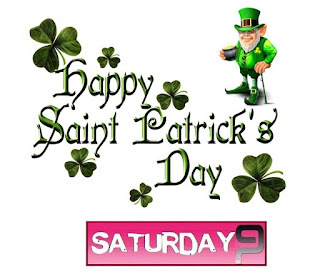 Friday was St. Patrick's Day, March 17th! Did you celebrate with green beer or a green milkshake? 2. Did you remember to wear green? 3. What color do you look best in? 4. 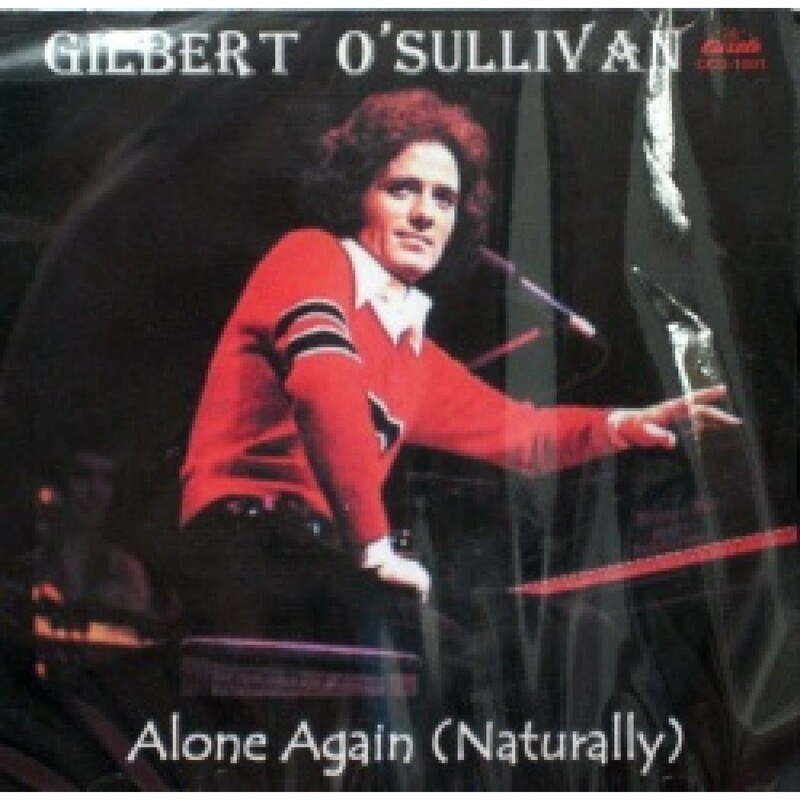 This week's featured artist, Gilbert O'Sullivan, was born in Waterford, Ireland. Waterford is famous for Waterford Crystal. Do you have glassware that you save for special occasions? 5. This week's featured song includes the line, "To think that only yesterday I was cheerful, bright and gay." How were you feeling yesterday? 6. It begins with reference to a wedding that didn't quite come off because the bride left the groom at the altar. When were you most recently at church? Was it for a holiday service, a regularly scheduled service, a special event (a wedding or baptism)? 7. In 1971, when this song was popular, Malibu Barbie was a big seller for Mattel. This doll had a perpetual tan. For a human to achieve this, a tanning bed or self tanner is usually required. Have you used either method to give yourself a tan? 8. In March, 1971, James Taylor appeared on the cover of TIME magazine. What's your favorite James Taylor song? 9. Random Question: What word or phrase do you hear yourself saying too often? 1) This song is about a wife warning another woman off her man. Who received the last warning, of any type, that you issued? 2) Loretta sings that when her husband picks up trash, he puts it in a garbage can. She's being metaphorical, but we will be literal: If you spot litter on the sidewalk, do you pick it up or just walk on? 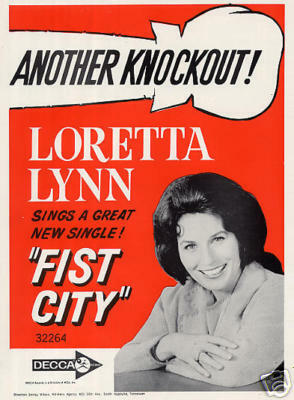 5) In the 1970s, Loretta Lynn was the first country singer to appear on the cover of Newsweek. Who is your favorite country singer? 6) Rowan and Martin's Laugh In premiered in 1968, when this song was popular. What's the last TV show you watched? Did you watch it live, did you stream it, or catch it on DVR/Tivo? 7) In 1968, Jacqueline Kennedy shocked the world by marrying Greek billionaire Aristotle Onassis.What's the last thing you heard that surprised you? 8) 1968's top-rated car was the Chevy Corvette. Could your car benefit from a trip to the car wash this morning? 9) Random question: You're staying in a hotel and find you can faintly hear the couple in the next room. Would you ignore their voices, or try to hear them better? 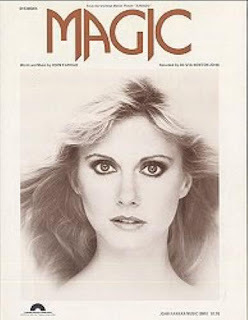 1) This 1980 video depicts Olivia Newton-John as a performer in small club. For the past few years, she's been performing regularly at the Flamingo in Las Vegas. Have you ever been to Las Vegas? 2) Many tourists who want to get away from the glitz of Vegas travel less than 20 miles to visit Red Rock Canyon. This national park is known for its hiking trails, which provide a view of the desert flora and red rock peaks. Tell us about a time you were impressed by natural beauty. 3) One of the best-reviewed restaurants in Las Vegas is Andiamo Italian Steak House. When you order a steak, how do you request it be cooked: rare, medium rare, medium, medium well or well done? 4) Olivia Newton-John's father was an officer in MI5, the UK's secret service. Sam's most recent encounter with the law didn't have much drama or intrigue: she asked a cop for directions to the highway. Tell us about the last time you spoke to an officer of the law. 5) ONJ was awarded the OBE -- Order of the British Empire -- by Queen Elizabeth in honor of her contributions to the arts. Here's your opportunity to boast. What is something you've done lately that you received praise for? 6) A breast cancer survivor, Olivia helped found a cancer center in her hometown of Melbourne, Australia. When you think of Australia, what comes to mind? 7) "Magic" was one of the top-selling records of 1980. Also that year, Post-It notes debuted. Do you enjoy shopping for office supplies, or do you consider it a chore? 8) In 1980, the NASA space probe returned the first photos of Saturn back to earth. Do you believe intelligent life forms from other planets are trying to learn more about us? 9) Random question: Are you more confident in your looks or your intelligence?